Scott Harveys ceilidh sound uses Banjo, Accordions, Drums & vocals, + additional Piano / Keyboards, Guitar, & Highland Bagpipes, being added where requested. 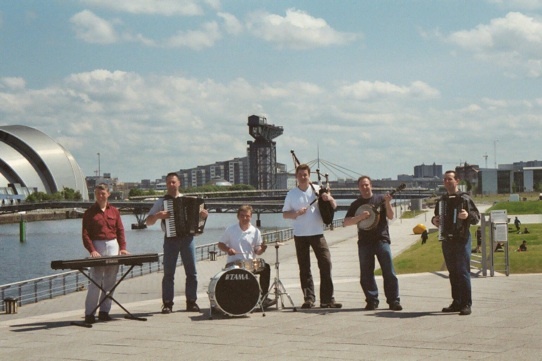 We can also supply Highland Dancers & pipers to the band to provide you with a Scottish Evening . Ceilidh Dancing is our main speciality and we will call the dances if you are unsure of the dance steps. A lot of the weddings that we play would like a mixture of ceilidh & disco music for the night and we can also supply that which gives the best of both worlds.